Gold futures rallied handsomely in the domestic market on Friday, advancing more than 1.3 per cent even as traders mulled the prospects of US monetary tightening next month. Recent economic data showed that the world’s biggest economy was in solid shape but soft inflation and the ongoing financial market turmoil are factors that may hold back the Federal Reserve from raising interest rates in September. While Q2 US GDP growth was sharply revised upwards to 3.7 per cent from an earlier estimate of 2.3 per cent, the Fed’s core inflation gauge registered its smallest gain in four years, advancing by 1.2 per cent in July 2015, year on year, falling well short of the 2 per cent target. Atlanta Fed President Dennis Lockhart said that an initial rate hike could happen at any of the Fed’s remaining three policy meetings in 2015. Gold’s sharp gains came even amidst a stronger dollar which tends to curb demand for the precious metal as an alternative asset. A stronger dollar makes Gold more expensive for those holding other currencies, thus dimming demand. 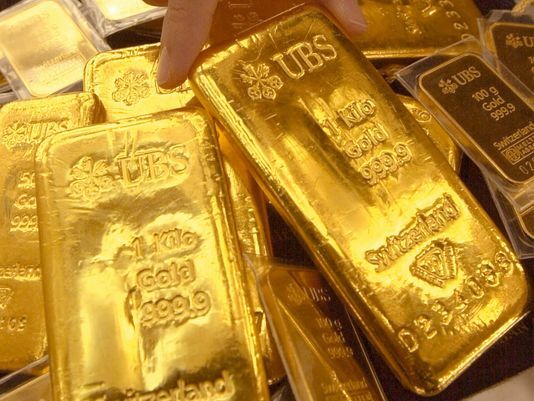 Gold may fall today after the Vice President of the world’s top central bank warned that it was too early to rule out September policy tightening as the ongoing volatility in global markets may ease quickly while seeing a pickup in the pace of inflation. At the MCX, Gold futures for October 2015 contract closed at Rs 26,623 per 10 gram, up by 1.31 per cent after opening at Rs 26,490, against the previous closing price of Rs 26,278. It touched the intra-day high of Rs 26,750.